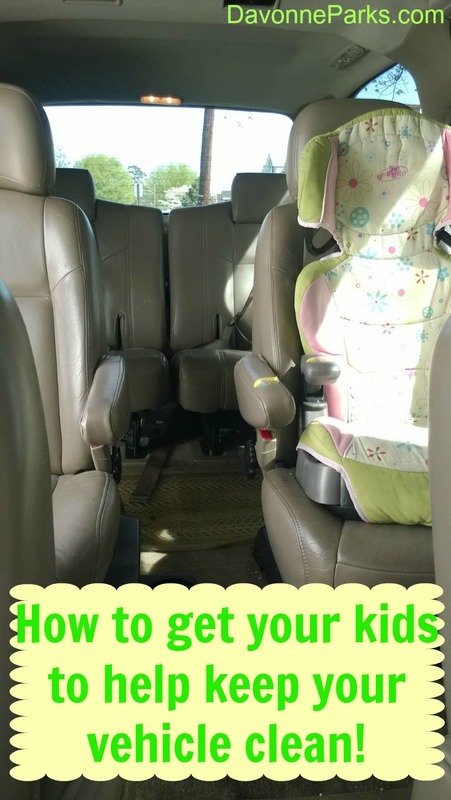 How to Get Your Kids to Help Keep Your Vehicle Clean! My house is really clean right now. I have the laundry under control. I decluttered every tiny corner last month. I’ve even started making my bed most days! And it recently occurred to me that people who only see the inside of my van and not the inside of my house probably think I am a complete slob. Embarrassing. With the weather warming up, there were no more excuses. It wasn’t too cold to bring everything in that we’d been storing all winter. And honestly, if things can live in our van for two months without anyone missing them in the house, the items can really just go straight into a trash or donation bag. Once I decided to clean out my van, I tackled this job with such gusto and urgency that I didn’t even bother taking before photos. So just imagine a photo of a messy van. To easily fit vehicle clean-up into my schedule, I broke this project into three small chunks. Day One: My kids and I took all of the stuff out of the van. We had three bags: one for trash, one for donation items, and one for things to put away inside. We put the items away immediately instead of leaving them on the floor. Day Two: I vacuumed the inside of the van while Lily and Grace washed the outside of Nathan’s car. So far we’ve kept the van clean for over two weeks. Possibly a record! The girls are each allowed to take one small bag of activities when we leave the house. That’s it. If it doesn’t fit in the bag it has to stay home. Everything has to be carried inside as soon as we get home. If something is left in the car after a gentle reminder to bring it in, the item becomes mine for a week. Food crumbs must be picked up and thrown away as soon as we get home. If rules 1-3 aren’t followed cheerfully, mommy and daddy get the toys anyways. We know that we may not always keep our van in perfect shape and that we’ll still need to clean it out on occasion (particularly vacuuming), but so far this system has helped significantly in keeping our van clean enough! What about you? 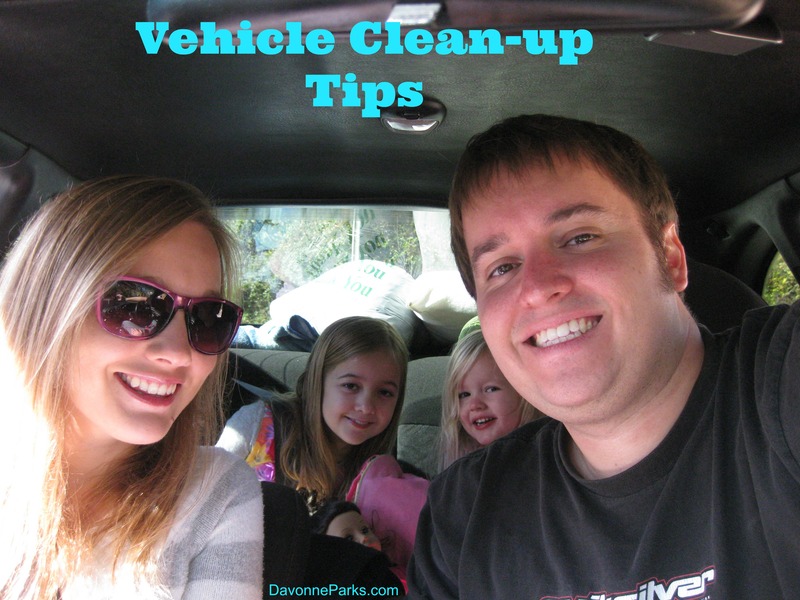 Do you have any tips for my family as we learn to improve our vehicle cleanliness? The idea of the bag is quite possibly the best idea ever. It is one of those smack your forehead, “Why didn’t I think of that? ” moments! Thank you! Having a plastic box in the back with extra clothes and park toys has helped with keeping the back clean. That way stuff isn’t floating around back there! That’s a great idea, Sarah! Thank you for sharing! Great tips. We also have “issues” when it comes to a clean vehicle. I like the Amal bag idea. We have put a small trash can in the back and it’s helped out tremendously too. I have two in diapers and a 1st grader so it comes in mighty handy. I keep bags in the bottoms of the can and put a new one in when we get out. I’ve heard of small car trash cans – I really need to look into one of those for my family. Thanks so much for the great idea! Thanks for linking up! These are great tips and this is an area where I am in need of some cleaning! Thank you for hosting the link-up, Keri! I’m glad these ideas are helpful to you.